Early January and it’s a bit quiet. A short email arrives: “What happens to pension benefits if you die before taking them? Do they die with you?” The answer here is usually No, but more on this later. This develops into a string of emails where the lady’s questions are answered with links to where she can answer the issues raised herself, and it looks like no regulated advice will be needed. The background here is cancer for the third time where she tells me she has only weeks left, with last hope being another round of chemo with only a 10 per cent chance of a cure. House moves and hospitalisation have left the relevant pieces of pension paper in boxes so no detailed information to hand. She does not want to do the letters herself so, Can I trace her pension benefits please? Up till now, charging has not been in my mind but mindful of how long this exercise can take, we agree on a fee with half paid up front. A list of employers and dates follows where about half look as if there might be a pension benefit. Fortunately, we do have the name of the longest employer and I get the address of the trustees. Letters of Authority are signed and returned. The lady still has capacity to sign letters and when I raise the issue of Lasting Powers of Attorney, the reply is that she still has her marbles and having trained as a solicitor for a while, understands this stuff. A letter goes to the pension administrators who phone me a couple of days later to tell me that they have my letter. They wish to calculate a projected pension for the lady and ask me for likely life expectancy? With what I have been told, I point out that a projected benefits statement is hardly helpful and a couple of days later, a letter turns up. The trustees are prepared to make a serious ill-health lump-sum payment and give a deferred pension to her husband. Curiously, there is no CETV or Transfer value, so this is requested. About this time, the BR. 19 audit comes in showing that enough NI contributions have been made to earn the full Basic State Pension with a heart-warming bonus of 69p a week from Graduated Pension/S2P – payable in a couple of years time. Days later, the CETV comes in showing a Pension Fund Value of around £70,000 but with the worrying information that death before Scheme Retirement Age (still two years away) will still give the husband the deferred pension, but no lump-sum for her - the pension benefit actually does die with her. 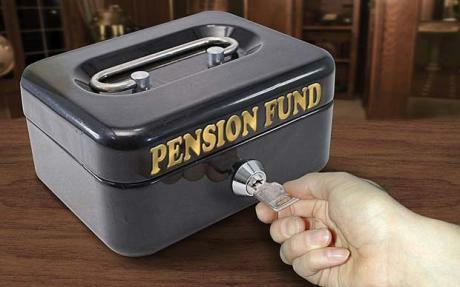 The benefits here are in a Defined Benefit Scheme where the value of the pension is maintained by the (former) employer. These are vanishing from the private sector and are usually only found in the Public Sector these days. Transfers of course involve regulated advice which CancerIFA does not do, so it’s time to pick up the phone to my former colleague who does do transfers. Given the choice, the lady would prefer a larger lump-sum than a smaller one but there is not enough time to process pension transfer. Given the circumstances, a serious ill-health lump-sum payment as first offered by the pension trustees is the only sensible option. The exercise has turned into a pension rescue mission, so it becomes a matter of getting the right pieces of paper in the right place. This paperwork means original birth and marriage certificates and confirmation from her doctor of her health details. No birth or marriage certificates are available so new copies needed. Worth mentioning here that a copy issued by the original office still counts as an original. In this case, four certificates are required – 3 birth and one marriage. The cheaper regional registrars are only available for events that happened in the respective county, so it’s time for the main (London) ones to provide the copies. Cost varies from £25 to £60 each depending despatch times, and the lady requests quickest delivery. All ordered online, but the Marriage certificate takes a day longer to arrive. The medical information takes a week longer but all pieces of paper are forwarded to the trustees, so hopefully, job done. * Birth and marriage certificates are always needed when claiming pension benefits – ill health or otherwise. * Not having a financial adviser can be expensive. With hindsight, it would have been better to transfer the benefits where the whole value could have been paid to the beneficiary. The lady concerned ran a successful business and had an accountant, but no financial adviser. Contact me if you want me to suggest one, or go to Find an Adviser or Unbiased It pains me to say this as a qualified banker ACIB from what might be called the old days, but avoid the high street banks here. * Do you know who your Nominated Pension Beneficiaries are? If you died tomorrow, who would get your pension benefits? If you are not going to sort the above matters out, then the result could be loss of benefits as nearly happened here, or paying someone else to do it. The tally so far is over twenty letters and phone calls, over 100 emails sent and received (I was asked to close some credit card accounts as well) and nearly 100 texts, as health considerations made voice communication impossible.